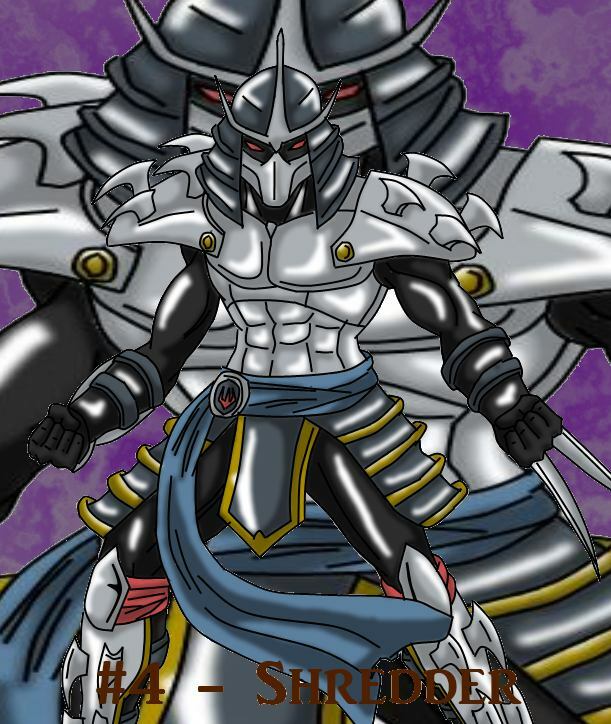 At number for, we have The Shredder aka Oroko Saki at number 4. From what I recall of the original series, he was always craving turtle soup, sicko. Since there isnt that much more that I can recall of him from back then, I decided to draw him more akin to how he looked in the 2003 TMNT series. Yes I know it was created by 4Kids, but they definitely got him to be much more of a badass than he was in the 80s. Now if they could only start loosening up on their edits on their anime shows, they might have something.